Finding new experiences is always difficult in an unfamiliar place or even in a familiar place for that matter. The vast park is an obvious choice to take part in the endless list of activities your imagination can stretch too, so for arguments sake we are leaving it out. The park is simply to elite for our list. To make everyones life easier we have made a list of what we think are the most enjoyable physical activities to do in Mile End, London. 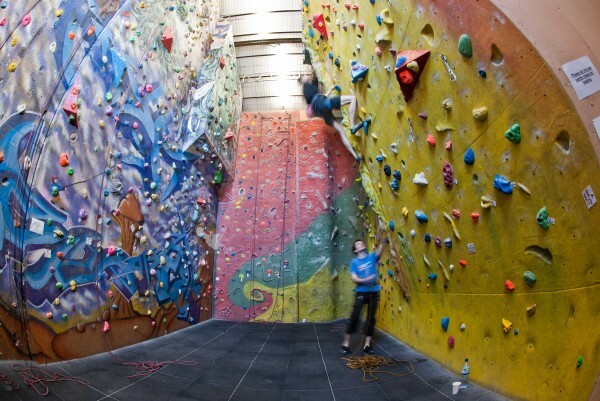 The climbing wall is situated in the heart of Mile end park, not but a short walk from Mile End Underground station. The 1500 sq. m wall is housed inside an old pipe engineering works and has been since it opened 35 years ago. This is perfect for seasoned professionals or If your a novice their is nothing to worry about Mile end Climbing Wall caters for you too. If you go as a group you are sure to get some great shots of each other in action. If you want some thing a bit more relaxing, Yoga Place offers sanctuary with a variety of yoga classes. Each class is taught by a fully qualified and experienced teacher who will always show sensitivity to the individual. There is a welcoming and friendly atmosphere, so if you are a complete beginner you will fit right in. Mile end skate park is a all cement creation with a marble smooth finish with a un convention design which pushes skateboarders to get more creative. The layout also complements beginners by being able to focus on particular spots. Surprisingly east London has always been light on Skateparks so this makes for a unique experience. Skaters love to be photographed so I’m sure if you are too shy to skate you will enjoy shooting some great shots. The quality of the facilities at Mile End Park Leisure Centre are award winning. This gym will always be a popular place to get fit but it also offers a huge number of activities, ranging from swimming to football. Pool and Snooker are one of England’s favourite indoor sports and Mile End’s American Pool & Snooker Centre have excellent facilities in a calm playing environment so you can make that game winning shot. The club has been around since 1999. From the beginning it has housed players of all standards.